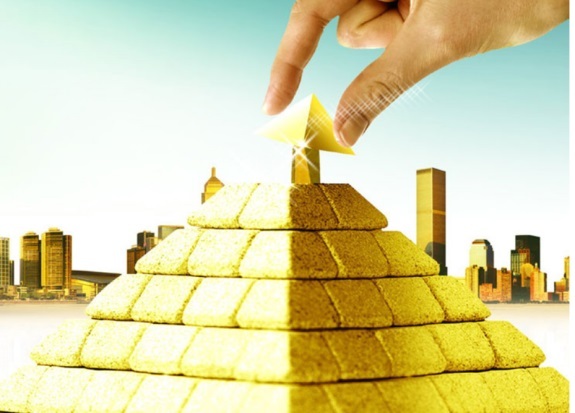 This image of a golden pyramid appeared on the Global-Unity website last month. Quebec’s securities regulator now joins at least nine other jurisdictions issuing Investor Alerts or filing actions against WCM777, also known as World Capital Market, Kingdom777 and Global-Unity. Global-Unity recently used a photo of a golden pyramid on its website, a possible taunt at regulators. Some WCM777 pitchmen claimed that $14,000 sent to the “program” returned $500,000 in a year. Quebec’s move brings the unofficial total of jurisdictions or regulatory agencies filing actions or issuing Investor Alerts against WCM777 to 10. The others are the country of Peru, the country of Colombia, the state of Massachusetts, the state of California, the state of Colorado, the state of Louisiana, the state of New Hampshire, the state of Alaska, the province of New Brunswick. There are many mysterious things about WCM777. If you have responded to solicitations related to WCM777 or any similar scheme, please contact an officer at our Information Centre. Read the Quebec Investor Alert. Quebec’s move brings the unofficial total of jurisdictions or regulatory agencies filing actions or issuing Investor Alerts against WCM777 to nine. Maybe 10, not nine. Back in Oct 2013, the President of Colombia ordered a police investigation. I think that counts. Tony H: Maybe 10, not nine. Back in Oct 2013, the President of Colombia ordered a police investigation. I think that counts. Right you are, Tony. I edited the story above to reflect Colombia. In barely related news… Quiznos declares Chapter 11. Which is only related by allegedly someone in ASD and Zeek was allegedly cofounder? Hehehe.